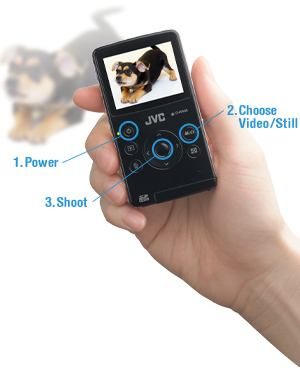 While looking for a great video camera that could easily go anywhere with my family, I discovered the Picsio by JVC. I love this camera!! Even though it is small, it takes video in great HD quality ! This camera is the first thing I grab when we are going out the door. Being close to the size of my cell phone , I can easily stick it in my back pocket, purse or diaper bag. Here is a picture to compare the JVC Picsio to my cell phone. Here are photos showing the size. Besides the portable size and the high quality video recording, it also captures still images! With a simple press of a button you are taken from video to still photo (8 megapixel). You just snap the photo as usual and you with the same ease go back to video. I would recommend that you need to be in a well lit area for your images to show up with good quality since there is no flash. I really like this feature, if I am out and about with the kids during the day, no need for me to bring an additional still camera. I can just bring the Picsio and capture everything! Here is a still shot taken with the Picsio (8mp). The large 2.0" Color LCD screen makes it easy to see while recording and watching playback. See photo on right. The Piciso comes in 3 great colors – black ice, blue steel, and purple passion. I pick the Purple Passion....so pretty & stylish. The front is shiny with geometric kaleidoscope type design. You do have to purchase your own memory card for video storage, Picsio will take up to a 30 GB card. I bought an 8 GB card and can take almost 1.5 hours of video at the highest resolution. 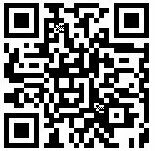 Click Play to watch my test video ! Visit JVC, then come back here and tell me what other product of theirs catches your eye! One winner will be chosen ! I will be using a random number generator to select the winner. Contest ends at 11:59pm CST on 1/10/10. If the prize is not claimed in 48 hours a new winner will be chosen. Contest open to U.S. residents only.The winner will be announced in this post(and emailed). I like the DVD player. I would also love the 42" Class (42.0" Diagonal) TeleDock LCD TV. Thanks so much. I also like the Everio camcorder. I would love the 19" LCD/DVD combo tv. This would be perfect in my room. Their AirCushion headphones look great. I would love to have the XV-BP1 Blu-ray DVD player. I also liked the 42" Class (42.0" Diagonal) TeleDock LCD TV, thanks. High grade in-ear headphones with the new Bi-METAL structure. Thanks. I really want the BD-Live Ready Blu-ray Disc Player. Thanks for the chance! I like the full spectrum full color headphones. Maybe not the fanciest thing on their site, but the sport clip earphones look really handy! I'd like the Portable Audio System for iPod. I follow your blog with Google Friedn Connect. I like the Flash Memory Camera. I also like the blue ray disc player. I'd love the XV-BP1 Blu Ray Disc player! I like the JVC Teledock HDTV. Very cool you can dock your iphone. I like the 32" Class (31.5" Diagonal) Full HD LCD with TeleDock. the 19" Class (18.5" Diagonal) 720p LCD TV catches my eye. I also like the 46" Class (45.9" Diagonal) LCD TV. I like the the 42" Class TeleDock LCD TV. The DVD Digital Theater System would be nice to have. We really need a new TV, so their 32" Class (31.5" Diagonal) 1080p LCD TV caught my eye! I would love to own the 1Z05E4700351203672 Bi-Metal Structure Headphones. I really need this camera. My still camera broke and I don't have a video camera. So my pix are taken with my phone, which isn't the best quality! I would also love to have the iPod/iPod Audio System..
i would love the xv-bp1 blu-ray disc player! The 46" Class (45.9" Diagonal) TeleDock LCD TV would be fantastic! I'd like to have the 46" Class (45.9" Diagonal) TeleDock LCD TV. JVC makes great products. Would love 42" Class TeleDock LCD TV. I also like their iPod/iPhone Audio System. That's awesome that it can charge 2 G3 iPhones at once. I like the 19" LCD/DVD combo tv. Oh! I would love to win the JVC Picsio! i also would like their LCD Xiview Procision TV or a Teledock (docks iPod)- Thx for the giveaway! I follow you on Twitter & tweeted the contest here! I would love to have the XV-BP1 Blu-ray DVD player too! I'd love to have the iPod/iPhone Audio System. I love the 46" Class (45.9" Diagonal) TeleDock LCD TV! Talk about a huge tv! Wireless Headphone are too cool!! i love JVC's "iPod/iPhone Audio System - NX-PN10"